Pitot-Static probes measure total and static pressures to derive airspeed and altitude. 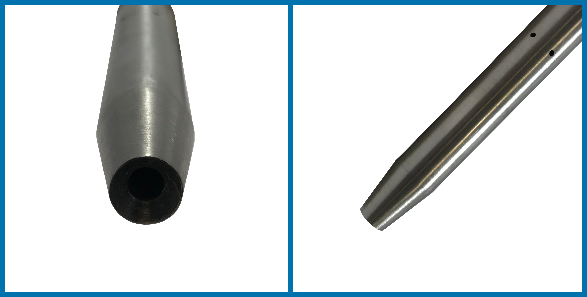 Commonly used for flight applications, these probes can be straight for boom mounting ahead of the aircraft or include an aerodynamic strut for fuselage mounting. Contact us today for more information about the Heated & Drained Pitot-Static probe.